Thanks to your feedback, Swimia has turn out to be in just a number of months one the most important web-sites of swimming pools. Here you have all the info we know about Bloxwich Leisure Centre, in Walsall. 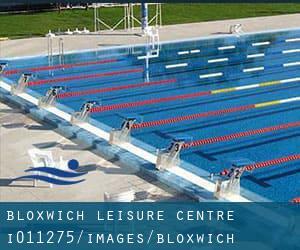 Don't neglect you can also promote this pool so Bloxwich Leisure Centre will appear the very first of Walsall, or perhaps the first of your country, make contact with us to know far more. Swimmers like you reported 20 meters, 4 lanes, 0.8 meters - 1.2 meters depth, 0.8 meters - 1.2 meters depth, Indoors. Unfortunately we do not have the email address of this Swimming Pool, but we can provide you with the phone number. Updated on 2019 Victoria Road , Darlaston , Walsall , England , UNITED KINGDOM (Postal Code: WS10 8AP). This sports centre provides 25 meters x 12.5 meters, 6 lanes, 1 meters - 1.8 meters depth, 1 meters - 1.8 meters depth, Indoors. For this Swimming Pool, only phone number is number here. Tempus Drive , Tempus Ten , Walsall , England , UNITED KINGDOM (Postal Code: WS 2 8TF). This sports centre offers 25 meters x 15 meters, Indoors. For this Swimming Pool, only phone number is number here. Updated on 2019 Lichfield Road , Walsall Wood , England , UNITED KINGDOM (Postal Code: WS 9 9PQ). This sports centre provides 25 meters, 6 lanes, Indoors. For this Swimming Pool, only phone number is number here. Walsal Campus , Gorway Road , Maw Green , Walsall , England , UNITED KINGDOM (Postal Code: WS 1 3BD). Among all of the activities provided by the centre, when you are interested in swimming you might take pleasure in 20 meters x 10 meters, 5 lanes, Indoors. If you'll want to contact this Swimming Pool, e-mail address and phone number are both number. Updated on 2019 Tower Street , City Centre , Walsall , England , UNITED KINGDOM (Postal Code: WS 1 1DH). This great and large sports centre lets professional swimmers like you enjoy 33.33 meters x 13.72 meters, 6 lanes, Indoors. Additionally, within these facilities you can try 22.86 meters x 11.08 meters, Indoors. Unfortunately we do not have the email address of this Swimming Pool, but we can provide you with the phone number.